The EDTNA/ERCA Conferences are conversations on a large scale. At our Conferences, we have the rare opportunity to talk, face-to-face, with many of our Colleagues & Friends, Guest Speakers, Industry and some of our mentors and teachers whom have attended for many years. As long as we arrive with a burning question, every conversation we have brings us closer to the answers we seek. Asking so many of our colleagues outside of a conference would take ages, and we’d miss the interplay of asking a group of people at the same time and hearing lively debates to our questions. 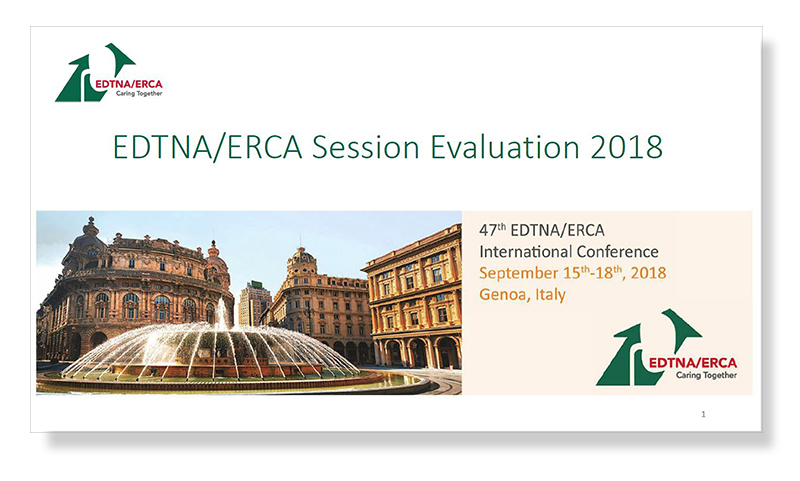 To join the EDTNA/ERCA Community is about meeting new people and building new friendships or professional relationships at the Sessions, at the refreshments, at the Exhibition and “in the hallways”. It’s where we connect and reconnect with colleagues and friends and a chance to have those rare conversations. AND WHAT WE DO WITH IT!